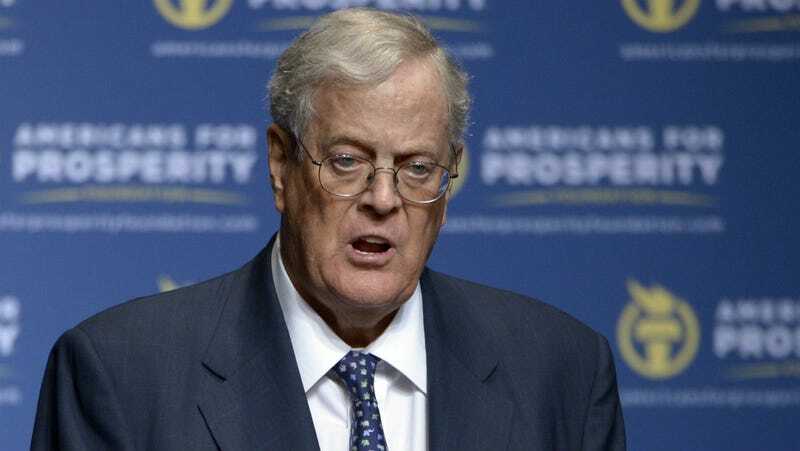 Charles and David Koch held a retreat at a California resort this weekend, where Republican candidates gathered around a pool of Koch money, attached vacuum cleaner extensions to their snouts, and gazed pleadingly at them. All conditions seemed ripe for—could it be—yes, praise Jesus, we’ve got ourselves another All-Male Panel! David Koch pictured in 2014. There were very few public images of this weekend’s retreat. Go figure! Image via AP.